Commercial office space lease Basavanagudi – Built to Suit- Nittoor Square. Nittoor Square, with its contemporary design will attract the attention of passersby with its arresting modern architecture. Commercial office space lease Basavanagudi -built-to-suit with total built up area of 16450 square feet. Nittoor Square, is located at the junction of two popular thoroughfares of South Bengaluru – South End Road and Kanakapura Road, through which commuters have to drive to reach Majestic and the Central Business District. 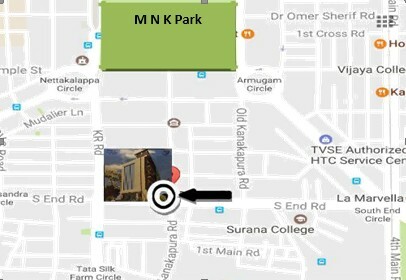 The Building is well connected with easy access to public transport and is within walking distance from the South End Circle Metro Station. 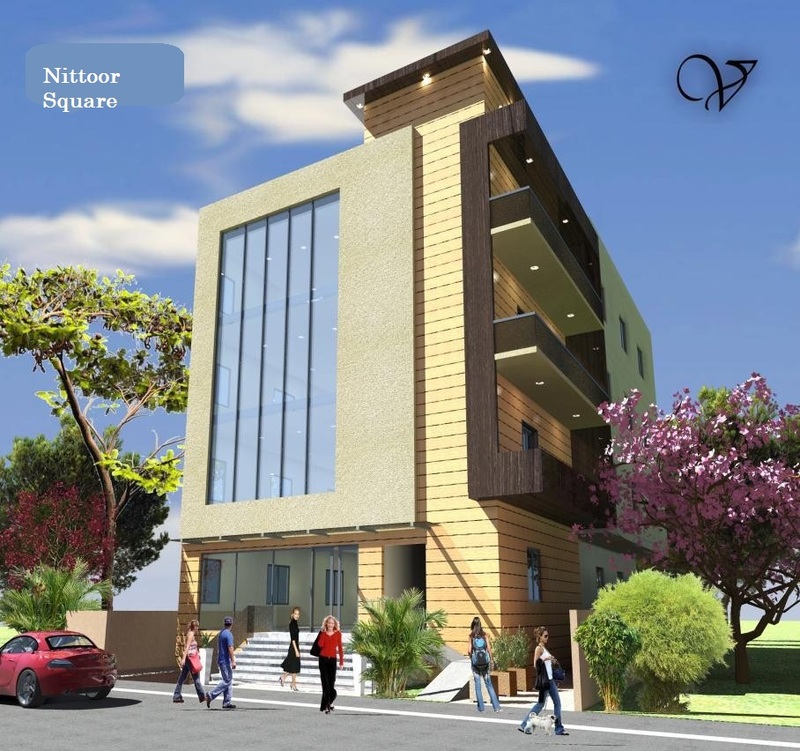 Nittoor Square is ideally suited for Departmental Stores, Show rooms, Banks and business offices. Nittoor Square, is designed with ample cross ventilation and natural lighting hence, making it eco-friendly while modern conveniences like ergonomically designed stairways and spacious elevator make it a safe and alluring place for shoppers and office goers. The owners of Nittoor Square believe in safety and protecting the environment. A fire escape at the rear of the building and wheel chair friendly entrance are the facilities being provided. Provisions for a fire extinguishing system, Solar panels and Sewage Treatment Plant are being made. Rain water harvesting is being installed.